Ipswich vs Wigan predictions ahead of this clash in the Championship. These two out of form sides are pushing to turn things around this weekend. Read on for our match preview and free betting tips. Can the Championship’s bottom side finally start to turn things around? They have been cut adrift after a tough campaign, but this weekend’s meeting with Wigan offers a rare opportunity for Paul Lambert’s men. They’ve been in dreadful form, but then so have the visitors. Wigan come here aiming to fix one of the league’s worst away records, which means that the Tractor Boys finally have a chance to get their home support cheering. Will this be a huge moment in Ipswich’s survival bid, or another big miss in their slip into League One? The hosts have lost four games on the spin ahead of this clash on Saturday. Last weekend was a tough one for Lambert, as his side lost 2-0 away to his former club Stoke. The side he took down a division last term, pushing his current team towards relegation. It’s not been a great period for the former Borussia Dortmund player, and now Lambert needs to boost a side who have won just once all season. Meanwhile, Wigan were edged out at home by Derby County last weekend. The Rams kept up their play-off bid be denting the Latics’ form at home, the place where they’ve earned almost all of their points so far. Wigan have claimed a massive 84% of their total points this season at home, having seen some disastrous away form. 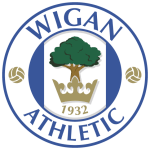 They’re among the worst sides in the league in terms of their away record, and now Wigan need to start branching out and picking up results in their trips. If they don’t then relegation isn’t something that can be ruled out. Portman Road seems like the perfect place for Wigan to turn around their form. However, as we’ve mentioned, this is a key game for the hosts. Ipswich will be expected to produce a result here, despite their torrid defensive record. They’ve shipped 1.5 goals per game at this ground, which is partly behind their failure to win a home game all season. They’ve kept just one clean sheet here, conceding in 95% of their Championship games overall. The visitors will look to take advantage of one of the worst defences in the league. However, Wigan have conceded 69% of their goals so far on their travels, letting in 20 goals in 10 away trips. The Latics have conceded in 90% of their away trips this season, while Ipswich have seen both teams score in 70% of their home games. With that in mind, we’re backing both teams to score here, and a point apiece for the two out of form sides. Ipswich manager Paul Lambert is winless in five league matches against Wigan during his managerial career (D3 L2). 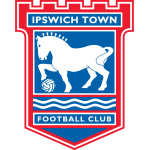 Ipswich are winless in their last nine league games (D2 L7), losing each of the last four – they haven’t lost five on the bounce since December 2011 (7 games). Wigan ended a seven-game losing streak on the road in the league last time out with a draw against Bolton, however the Latics haven’t won away from home since August. Wigan, alongside Norwich and Aston Villa, have 13 different goal scorers in the Championship this season – more than any other side.